Are you clueless about where to begin? Do you feel like your in over your head? Most importantly, are you determined to publish your work? If you've answered yes to any of these questions, then your not alone. So I started a list of baby steps along with tips that I pulled from all over the forum. I hope this will help everyone who feels the same way I do, lost. Mods please feel free to add or edit anything. I'll try to keep the list as up to date as possible. From Midnight Whimsy- Creating fonts is a huge undertaking. I'd recommend researching a free-to-use font or purchasing a font license. From Darke-Be careful with fancy fonts. They don't always take in the final product or can make your formatting look horrible. From Midnight Whimsy- Recommended that you purchase a cover unless you are employed in digital design or are a very, very good hobby artist with skills in digital media and a strong understanding of the unique needs of a book cover. 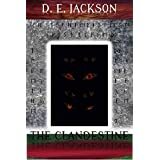 Custom covers run from about $100 to $500, while professional pre-made covers (covers pre-designed that are sold once and customized with your title/name) run from as low as $25 to about $100. Remember that your cover is your book's packaging. If you want readers to expect a bookstore quality story inside, you need a bookstore quality cover. Do NOT expect readers to overlook a poor or amateur cover because the story is amazing; most readers will never see the story if they can't get past the cover. That is unless you have used other peoples images on your cover, but as far as the font is concerned, the copyright ended as soon as you made the cover. And it ends because the data in the font (the shapes, lines, and points) were discarded when you saved it as a JPG file (or PNG, or the other bitmap formats I mentioned). What you have now on your cover is not technically a font, it is a typeface rendered at a specific scale. There is no font left to be copyrighted, just an image. c. Do Not Use song lyrics, names of products, anything indicating that certain product, names of shops, etc. Re-edit novel as needed based on beta feedback. From Midnight Whimsy- Missing step: Professional editing. Source and hire, at a minimum, a copyeditor to clean up your writing on a sentence level and a proofreader to clean up typos. Some books may require developmental editing as well (editing of the overall story, characterization, plot, pacing, etc.). This is step that many first-timers skip -- and regret skipping. A badly edited book will stall your career before it even gets going. From C. Taylor-I actually put my cover IN my doc, so the first page is still the cover. From Midnight Whimsy- The different sites recommend different dimensions but you don't have to use them. Amazon's recommended cover dimensions display very nicely on an iPhone but not on the Kindle, where it's too tall and narrow. Go figure. From Darke-Smashwords give you a free downloadable file that helps you format for digital. Amazon is simple, just upload your file, but I hear people say Smashwords meatgrinder is harder. Look into both Amazon and Smashwords. Not everyone owns a Kindle and you'll be overlooking sales. Some people suggest putting it on Amazon's Select program for 90 days to get it out, then once the 90 days are over, take it off and put up a file on Smashwords. Smashwords with it's distributors will (if you get into their Prime Catalogue) get your novel in BM, Kobo, iTunes, Sony and other places. From Midnight Whimsy- Again, formatting is something you can hire someone to do for you, usually for under $100. Depending on your budget, it may not be worth your time to learn this when you can pay someone to do it quickly and error-free. iMovie free for commercial use - From RC Lewis - As far as I know, it should be fine. People use it to make vlogs (directly or indirectly promoting their work) and book trailers. The only thing I think might be iffy is if you were making videos and selling them directly (not just using them to promote something you're selling). You do need to be careful about any content you include that you don't create yourself—be sure you're clear on the licensing for stock content. I'm really not the expert on this, though. Let's use those summoning powers and see if Jennie Bozic knows more than I do about it. From Jennie Bozic - Hi! I looked it over, and you should be fine. It looks like they're even okay with you using the library that comes with it on a royalty-free basis for commercial work (including videos you want to sell, if you're ever so inclined). This is pretty standard for software like this. You just can't take their stock sound clips and then rebundle them for sale as if you were the original creator. Usually the only time you *can't* use software like this commercially is if it's a student version because that comes at a discount. As RC said, as long as you're being careful to check the licensing of any other stock photos and footage you want to use, you should be good to go! From lee dobourg- Have you arranged for reviews coming down the pipeline for your author profile at Goodreads? You are responsible for creating buzz. You can publish tomorrow if you're in a big hurry. Without promotion that puppy will sit like the house on the side of the road, watching literary life drive by. From AWExley-You need to have marketing in the pipeline long before you push "publish". Create your author profile on Goodreads, link your blog. Find friends, search the groups and join those that match the genre you write. Goodreads is jam packed with millions of READERS looking for their next book. The key is to engage with them as a reader and never, ever spam groups with "buy my book" messages. Suggest look at AQ Connect - PR, Marketing, Ads, & Promos and AQ Connect - Blogs & Social Media Du Jour. From lee dobourg- This is the part where you roll up your sleeves and get down to business. Lousy salesmanship is not acceptable, because you are building a base for sales going forward, establishing your reputation/ career. Doesn't sound very literary, does it? The intellectual property you've created is your product. Identify it, tag it, find your niche market and promote directly into it. Bloggers are volunteers in the process. Repeat, they are not compensated. Ergo, treat them with the utmost courtesy. As an unknown, don't expect miracles, and be extremely patient. Identify these individuals from several sources. ( I have used Book Blogs and Goodreads). Approach those who express an interest in your genre. Your e-mail will read like an abbreviated version of a query. Say "You have an excellent Blog, exhibiting exquisite good taste, and I would feel honored if you could find the time to take a peek at my little old manuscript." Don't say "I have a deal for you and it is your lucky day to get in on the ground floor." Reviewers are swamped with requests. Don't expect any finished review coming your way for at least 6-8 weeks Send out 2-3 requests per day for a month. Yes, a month. Hope for a 30% positive response, over time. One of the first responses to my blog came from a UK Amazon Vine reviewer. She expressed an interest in reviewing, but stated her backlog was already at 6 months ( of course I said yes, and wait for that review another 4 months from now ). So I read in another thread that you need a Tax ID? What else am I missing? Is there a step by step Pinned thread I'm not seeing? I'm learning a lot and I thought by going to Level One: The Basics of E-Publishing would explain everything, but I miss the tax thing entirely. I'm totally clueless. Please help! 4. Put the book on Amazon or kindle or where should it go? 5. Now what? Did I miss anything? How far along are you with your novel? Darke, Novel is done. Will be done editing by November 15 at the latest. 4. Have a few beta's read it through. A second set of eyes looking over your work is essential as we don't always see the problems. 5. Look into both Amazon and Smashwords. Not everyone owns a Kindle and you'll be overlooking sales. Some people suggest putting it on Amazon's Select program for 90 days to get it out, then once the 90 days are over, take it off and put up a file on Smashwords. Smashwords with it's distributors will (if you get into their Prime Catalogue) get your novel in BM, Kobo, iTunes, Sony and other places. 6. Find a good cover artist. You can check out here. I'm sure there are some members who do cover art. 7. Learn how to format. Smashwords give you a free downloadable file that helps you format for digital. Amazon is simple, just upload your file, but I hear people say Smashwords meatgrinder is harder. Are you comfortable marketing yourself? Writing and revising are hard work. Marketing/ Promoting the intellectual property will test your mettle. Have you arranged for reviews coming down the pipeline for your author profile at Goodreads? If not, seriously consider doing so, and pushing out your release date 6 weeks. Rhetorical question: after all that hard work, and the excitement of finally seeing your work in print, do you want the emotional letdown of not seeing your book sell? Have you arranged for reviews coming down the pipeline for your author profile at Goodreads? No I haven't. I didn't know about this site and just looked it up. Thanks for the site. If you plan to self publish a paperback, an ebook and\or an audiobook edition, you may want to consider the following. Covers - Createspace, Kindle Desktop publishing and audiobooks via ACX.com each requires a cover in a different size. You may want to create covers in all three formats at the same time. ACX requires squares 2500x2500 pixels. Amazon specifies rectangles at 625x1000 pixels minimum for a low res cover and recommends 1563x2500 pixels for a high res cover. The paperback cover is also rectangular and size varies dependent on the number of pages in your book. I like to start with Createspace. Publishing there requires uploading your text so that the cover size can be determined based on the page count. Also, this page count appears on your Amazon product page and helps buyer anticipate the length of your book. Once you know the paperback size, you can proceed to create the KDP and audiobook covers in such a way that the cover design works well for all three editions. If you're hiring someone to create your covers, I'd imagine doing all three at once might even be less expensive than coming back for additional work. Pricing - Amazon now offers a program called Matchbook. If you enroll in Matchbook, folks who buy your paperback can also buy an ebook edition for a reduced price. You get to set the price for your paperback, your ebook and the "Matchbook" price paperback owners pay for the ebook. Typically, ebook royalties pay more than paperback royalties so you may want to select a paperback price that still allows for a reasonable royalty if a paperback buys at the Matchbook price. Marketing - Start by creating an Amazon Author page for free at Author Central. You can always link your blog to your author page. You need to have marketing in the pipeline long before you push "publish". Create your author profile on Goodreads, link your blog. Find friends, search the groups and join those that match the genre you write. Goodreads is jam packed with millions of READERS looking for their next book. The key is to engage with them as a reader and never, ever spam groups with "buy my book" messages. Goodreads giveaways are great for increasing the visibility of your book as people enter and mark it as TBR. You might want to consider having a blog tour all good to go for the first weeks/month the book is out. Popular blogs with large readerships fill up fast. My second book comes out this month and the earliest blog tour I can book with a large group is April - because they are that busy. Have you created an author Facebook page and twitter account? Do you have likes/followers, all needed to help spread the message. Writing the book is the easy part, marketing and finding your niche is the exhausting bit. Thank you Mark and AWEXley for the great tips and info! I started making a list and thought I should share it here, but maybe editing my first post so it will be the first thing people see who are looking for help and tips would be best. So look up top at the first post again to see what I have. Be careful with fancy fonts. They don't always take in the final product or can make your formatting look horrible. You do good work, pulling together bits and pieces into a comprehensible thread, consolidation of which will be invaluable for AQC members going forward. Have they asked you to become a new moderator yet? Ok, so how does one promote a book? I mean what exactly do you say? My book is awesome? A little arrogant. Not sure what to say. I've been Pinned! Thanks Mods! Are you talking about sending emails out to book bloggers? Ditto, besides ebook readers can and do choose their own fonts. Covers are another thing though. If your FancyFont is embedded into a graphic, then it should continue to look the way you want it.